Young sibs may need help figuring out how to form a healthy relationship with their sibling with an intellectual or developmental disability. It is vital to check-in often to ensure that an open dialog is established. Young sibs have many questions, but not always the language to verbalize their emotions. 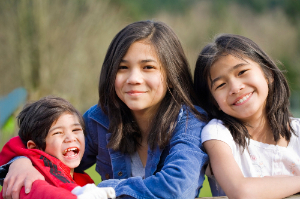 Support groups and other sib friends can be a lifeline for children.